1.00 2013-01-17 The Green Herring Initial release. 2.00 2014-12-28 The Green Herring Tags updated with composer credits and track titles from the "Final Fight Original Sound Collection" released by Clarice Disc on 2014-12-20. Also reset the Gain from 0.50 to 1.00 since "Ending" no longer clips when played in VGMPlay/in_vgm with no Gain. a description implying that it was BGM 9. VGMdb via e-mail correspondence with Mr.
knew about the composers of Final Fight. 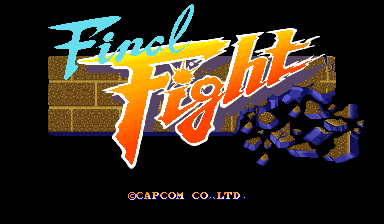 the "Final Fight Original Sound Collection"
this pack on the 28th for version 2.00.
album's track list for version 2.00.
included in this pack as well (track 02).